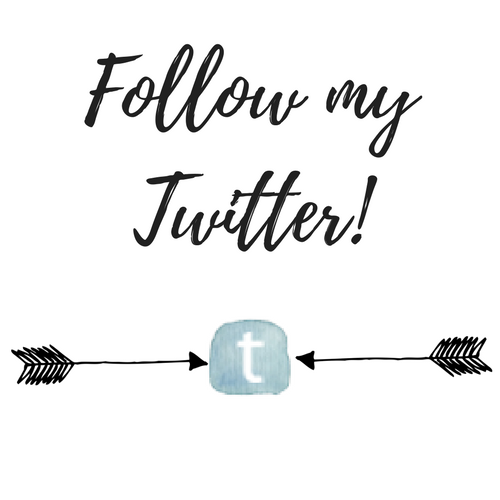 Welcome back to another installment of Tag Sunday*! I’m super excited for this one, because Fall is my FAVORITE season. Why, you may ask? A quick list for you of everything wonderful in fall that nobody actually asked for. But also soccer is pretty cool. Hayrides and pumpkin patches and bonfires! See, Fall is just so awesome! So after that kinda unrelated list, onto the actual tag that is the focus of this post. I was tagged by the wonderful Beth @ Reading Every Night. Everyone check out her blog, she posts very thought provoking discussions and great reviews, and is just super super sweet! Thank you again, Beth, for tagging me. Well, every book on my TBR? 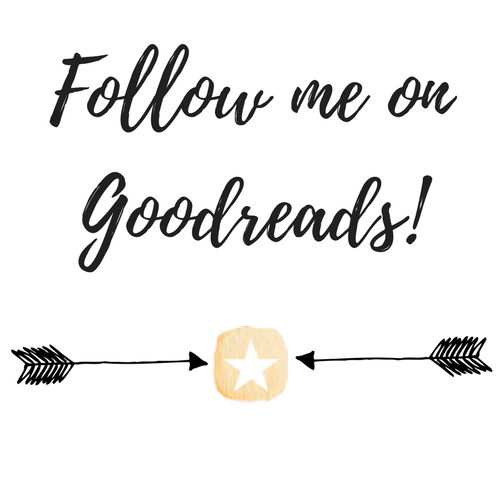 I have some seriously good books on there. But I actually have an immediate TBR (aka books I bought and are just sitting on my desk), which is a bit of a smaller list, so I’ll focus on that. 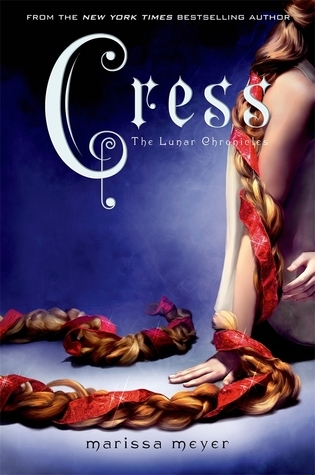 I cannot WAIT to read Cress. Seriously, I feel like I’ve been waiting my entire life to read this one book. It has everything I never knew I needed, and some AMAZING reviews. Let’s all pray I get to it soon (once I read all my ARCs). I LOVE THIS SERIES SO FREAKING MUCH. It seems like a weird book to get lost in. It isn’t a super fast paced plot and there isn’t a lot of action. But the characters are SO GOOD. And so is the setting! And the writing. And the romance. And just everything. You can get so lost in the feel goods of this book. Like any book has the potential to scare me. You think I’m kidding but I’m not. I decided to make it funny though and choose one that USED TO and definitely does not now scare me. 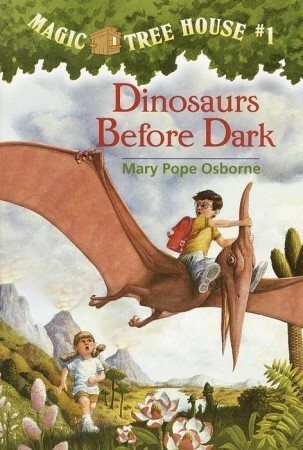 I read Dinosaurs Before Dark (Magic Tree House #1) when I was eight(?) and the dinosaurs must have either felt really real or my imagination as really intense or most likely both but I was legit terrified that there were dinosaurs outside my window and they were trying to eat me. I had my parents check the window before I went to bed to make sure they weren’t just chilling there. OBVIOUSLY dinosaurs are extinct but try telling that to my eight year old self. And I am SO PUMPED to read every single one of these. Ugh I LOVE a good scenic drive. Similarly, a book that is lyrically beautiful can make my day. I have two choices for this. 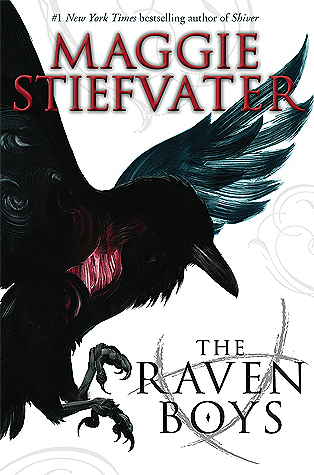 One of the entire Raven Cycle series. The writing is beautiful, haunting, mysterious, magical, just everything. It is SO GOOD. 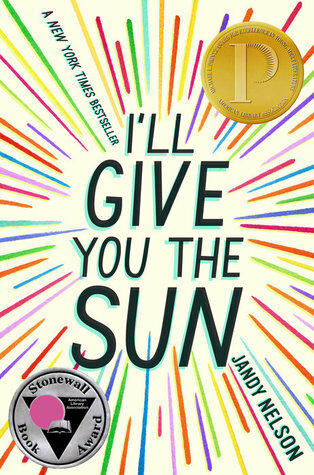 Also I’ll Give You the Sun. All the art metaphors and art imagery and just the way it is written in general. It’s beautiful. No matter how much I disliked a book could I ever carve it up??? I only have a couple books I really strongly disliked, and I’ve answered them both before in tags, and I don’t like when I repeat myself. But I can’t think of anything else? 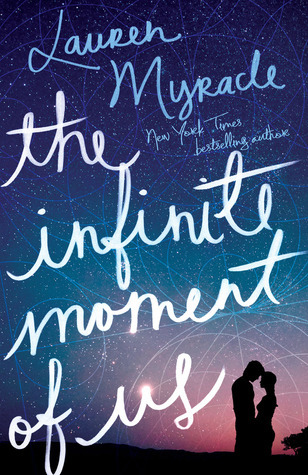 So I’m going to have to go with The Infinite Moment of Us…Again. 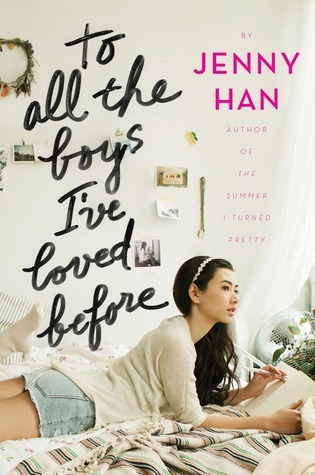 I LOVE SWEET BOOKS. SWEET BOOKS ARE MY FAVE. I HAVE SO MANY FLUFFY BOOKS TO CURL UP WITH. 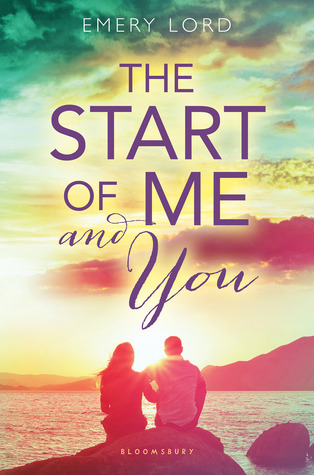 I highly recommend curling up with The Start of Me and You by Emery Lord. This is for real one of my favorite books. I love the main character (she’s a bookworm just like us! ), I love the love interest, I love the female friendships, I love the platonic male/female friendships, I love the sibling relationship. Also there is a sequel coming out in 2019 and I CANNOT WAIT. I AM ALREADY COUNTING DOWN THE DAYS. 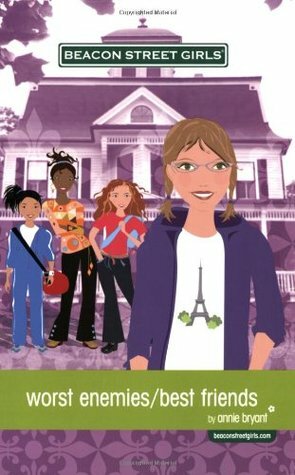 The Beacon Street Girls literally was my childhood. These characters felt so real to me, and their problems felt like my problems. This series had, what, 15 books in it? And I read every. single. one. Plus the spinoffs they did on each character. They had a special place of honor in the shelf above my desk (as opposed to my regular bookshelf). I also never see anyone else mention this series so maybe it just didn’t exist to anyone but me but I loved this series so much. None of them because I DON’T READ SPOOKY BOOKS. 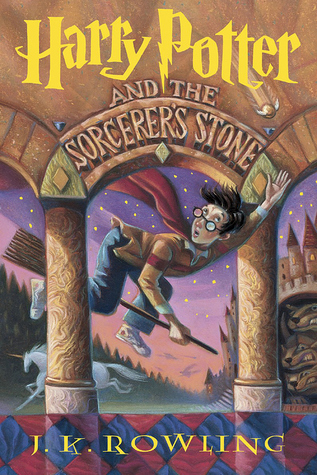 The spookiest book I can think of is Harry Potter, and I know, they technically aren’t even that spooky. Don’t get me wrong, I love that series so much, but I cannot read them at night. I mean literally everyone and their mother chooses Six of Crows for this. Rightfully so, because they certainly are eclectic. To try to be original, I’m going to say The Starbound Trilogy. We have the daughter of a rich millionaire, basically the princess of the world, two soldiers, one rebel and pacifist, one hacker, and one con artist. All with strong and dynamic personalities. And anyone else who just loves fall! Is fall your favorite season too? Why? If not, what is? What is your favorite pumpkin treat? Had you read any of the books I chose? No need to rush haha! I completely understand- the number of tags and reviews Im behind on is laughable. Yea I haven’t posted in a week, which is odd for me but I’ve been trying to inventory my goals…and one of them is to get back to writing fiction so I am trying my hand at NaNoWriMo again. Hi fellow Autumn born witch! *waves*. Ahhh yes you do if you love Autumn you will love The Raven Boys. Hahahah every day I say that I’ll be starting next and then I just don’t! I have like three more ARCS to read because I went on a NetGalley binge but after that I PROMISE I’ll start Cress. I read mixed reviews on Dreamology too but the synopsis was just so ME that I couldn’t take it off. Hopefully I like it! Everyone loves Cress so I’m so excited to read it!! I’m such a scaredy cat too ha-ha! I read supernatural books that aren’t even that scary and they make me jump and look around my room to make sure no monsters are lurking about…and I’m 26…you’d think I’d learn by now…good grief. Also, I love this tag so thank you for tagging me!! Fall is my favourite season! I wish it would never end – or at least last longer! I think I’ll end up posting this two weeks from now (Yeay! I’m actually learning to schedule ahead of time!) so you’ll see it then! Thanks again love ❤ Oh and happy early/belated birthday! (I don't know when you're birthday is lol). Omg when I read Harry Potter like the third book isn’t even that scary but that scene at the end? I couldn’t read it again for a YEAR. A whole year because I was spooked out. Yay I’m glad fall is your favorite season! I’m looking for colleges rn and one thing i’m considering is if it has fall 😉 not a deal breaker if it doesn’t, but it definitely is a big plus (it ruled out all CA schools though). Can’t wait to read your answers ❤️ And thank you!